The Charlton & St. Luke’s Auxiliaries & the Tobey Guild’s presentation of Bee Gees Gold a great success! 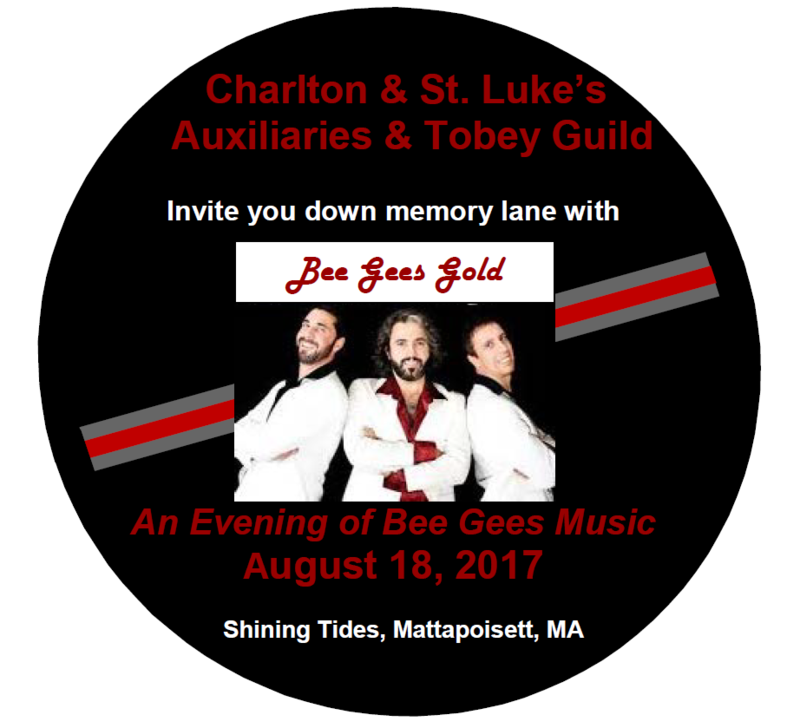 It is with great pleasure we announce the tremendous success of our “Bee Gees Gold” event which took place on August 18 at Shining Tides in Mattapoisett. In addition to a fun-filled evening of gourmet food and wine and the fabulous music of the Bee Gees, this event netted the Auxiliaries and Guild $150,000 which will be used to support the Lash Heart and Vascular Center at Charlton Memorial Hospital, the renovations and expansion of the Stoico/FIRSTFED Maternity Center at St. Luke’s Hospital and the expansion of the Emergency Department at Tobey Hospital. This success would not have been attainable without your generosity and belief in our work to support our most valuable community asset, Southcoast Health!